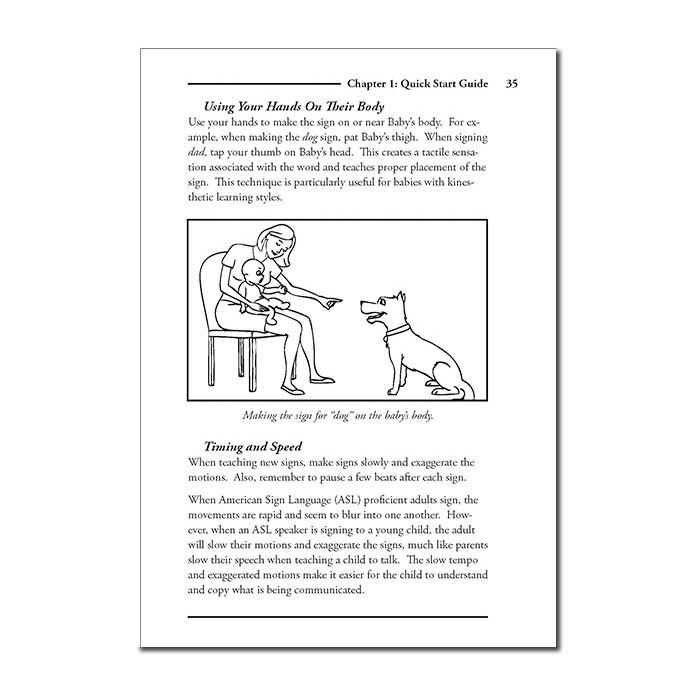 This Baby Sign Language Book shows you how to start communicating with your baby through signs. 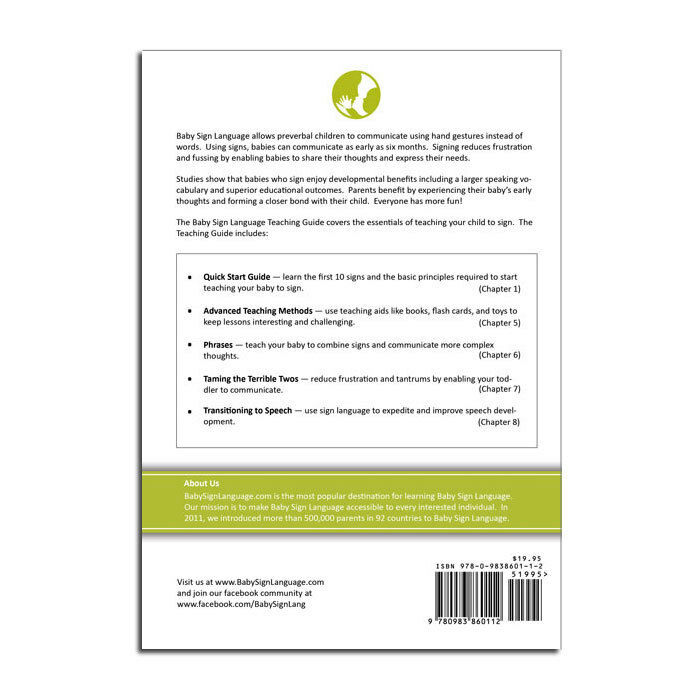 The first chapter, a Quick Start Guide will have you ready to start signing to your baby in 30 minutes. Later chapters cover more advanced topics such as phrases and transitioning to speech. Baby Sign Language allows pre-verbal children to communicate using hand gestures instead of words. Using signs, babies can communicate as early as six months. Signing reduces frustration and fussing by enabling babies to share their thoughts and express their needs. Studies shows that babies who sign enjoy developmental benefits including a larger speaking vocabulary and superior educational outcomes. Parents get to share in their baby’s early thoughts and form a closer bond with their child. Everyone has more fun! We want to make this decision easy and signing risk free. Your baby signs to your complete satisfaction, or your money back. If you are unhappy, just send back you kit and we give you a complete refund. It’s that simple. We do not have a digital version. 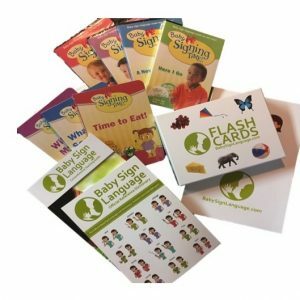 I have been teaching Baby Sign Language for three years and before that taught my kids. 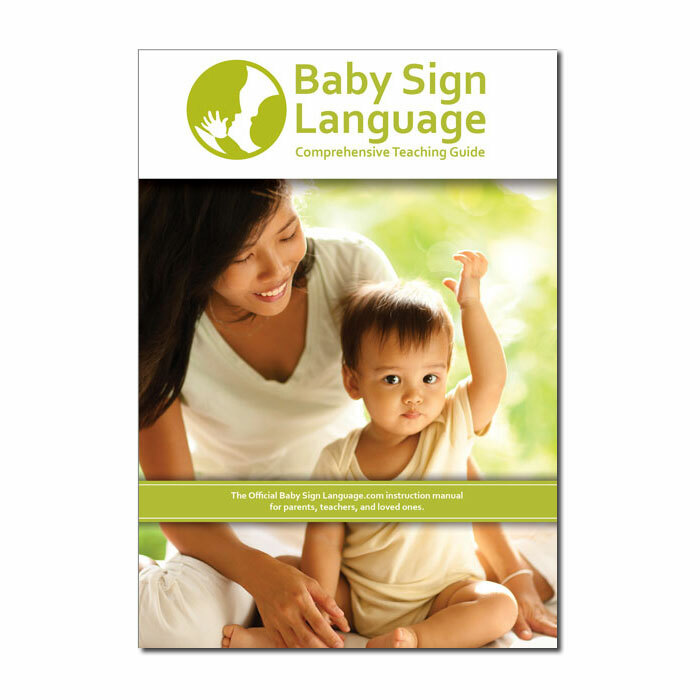 I have read most of the books on Baby Sign Language and this is the best. I recommend it to all the parents that are interested in learning more. 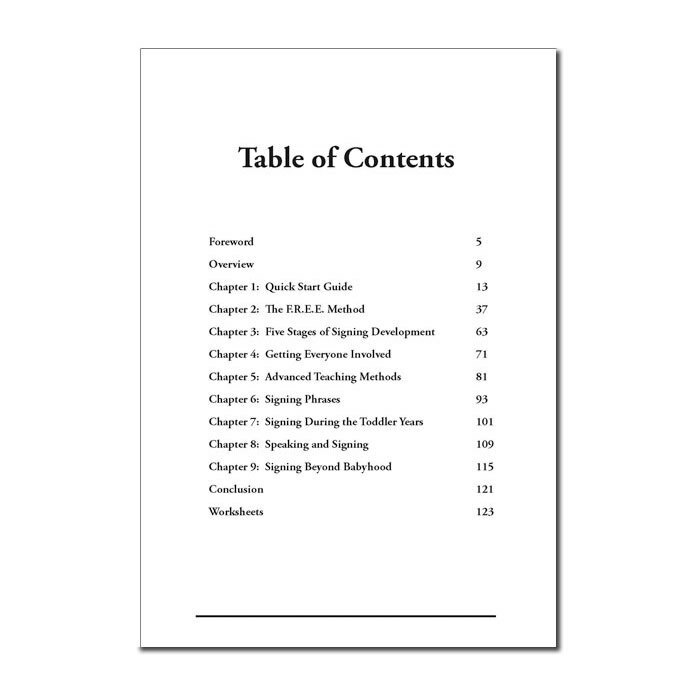 The first Quickstart chapter, it is everything you need to know to start signing. The later chapters have more in depth material if you need it. 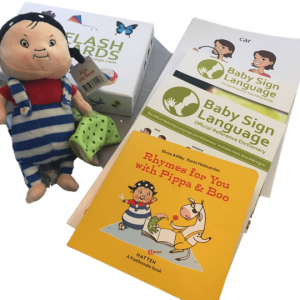 What it is missing is information about the history and science behind baby sign language. They just have the highlights in a few boxes. Some of the other books have much better coverage of these topics. What product would you recommend for a child who has autism and is mostly non verbal and difficult to engage in communicating. He knows a few signs but does not use them regularly. The autism spectrum had endless learning differences. 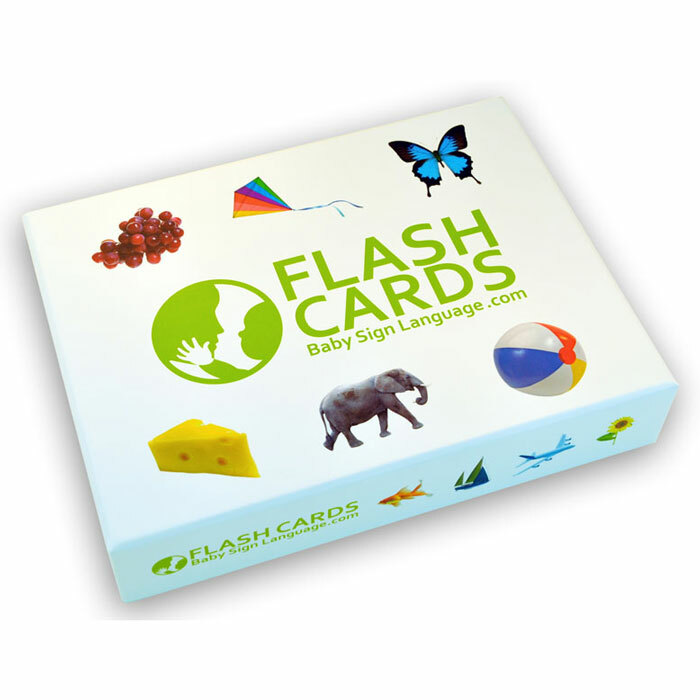 I know of a couple of moms who have enhanced our flashcard set by glueing texture via felt, velcro and wrinkled tissue to increase interest. I have also seen parents using the videos with song in cases where the child has demonstrated a profound interest for music and repetition. A wonderful book. Good basic guide to baby sign language. Answered all my questions and had a lot of good teaching tips. I wanted to do baby sign language ever since my son was born, but didn’t know the best way to go about it. I found this book because it was on the website I used to learn a lot about baby sign language and decided to give it a try. It told me everything I needed to know. I like the way it was organized with a quick reference guide at the front. The book has only 10 basic signs. If you need more (and you will need more), you need to go to the free website or get the dictionary. This book was very parent-friendy, it provided answers to questions that have caused hesitation on how we teach baby sign language to our second child. I was particularly impressed at how it presented research regarding methods that just make sense. Thank you! The teaching guide is an easy read and very helpful. I was surprised at how many tips are included. Especially the Pepperberg method! Congrats on the great book and I look forward to gifting this at my sister’s baby shower.